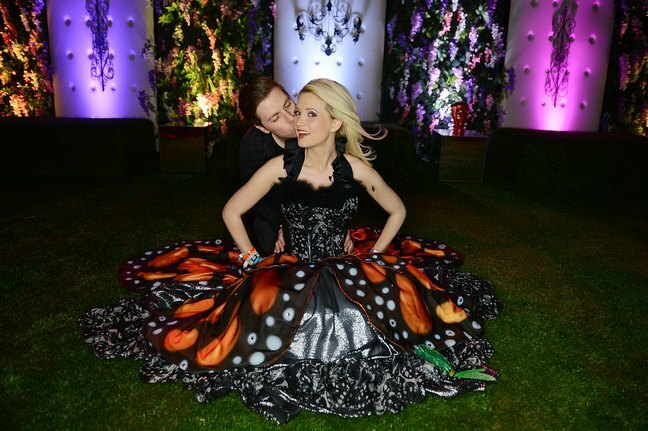 Holly Madison and Pasquale Rotella are officially engaged. The former reality star shares the proposal and her new ring! Holly shared the proposal details. "I got engaged on Sunday! My fiancé was so wonderful in creating such a romantic night! He proposed to me at the top of the Ferris wheel at EDC [Electric Daisy Carnival] Las Vegas. I was so happy that so many of our close friends were there to share the wonderful moment with us! We rode around the festival on the art car until the sun came up! I couldn’t have asked for a more wonderful or magical proposal! And a big thank you to Denise Truscello for capturing every moment of this very special night!" Pasquale is a music event producer and the father of Holly's daughter Rainbow Aurora, almost four months old. Did Kanye West Buy Kim Kardashian A $770,000 Push Present?What Keeps Brad Pitt Awake At Night?